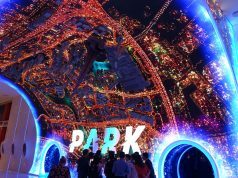 IMAX has announced it’s raised $50m in order to create new “premium” experiences for use at its VR centres which the company have begun rolling out around the world. 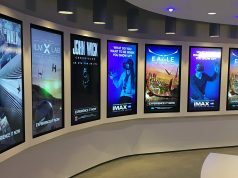 By the end of 2016, IMAX VR centres should be up and running in six locations around the world, with the first two nearing completion in Los Angeles and Manchester (England). The aim is to provide a higher quality VR experience than what can be achieved at home, and to produce and deliver unique VR content for these centres. Part of this strategy is the collaboration with Starbreeze, a Swedish game development studio who are in the process of creating a high-end VR headset called StarVR; a device that will become a key element of IMAX VR’s experience. 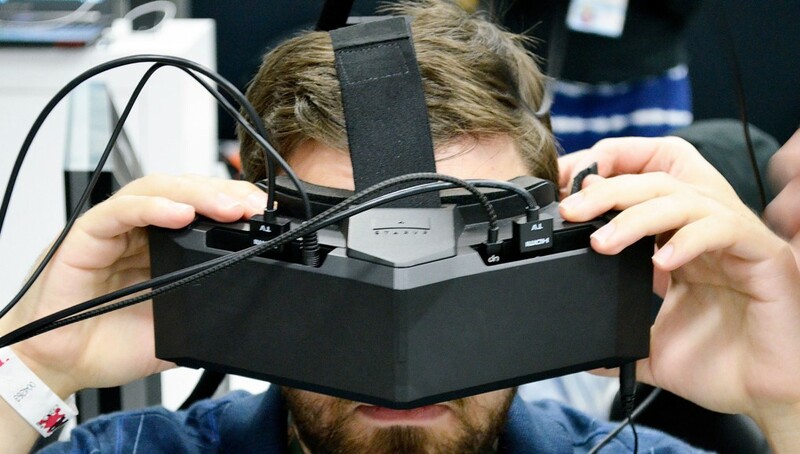 While VR headsets such as the HTC Vive and Oculus Rift are capable of delivering IMAX-like visuals in terms of scale and immersion, the StarVR headset’s significantly wider field of view (210 degrees vs 100 degrees) and higher resolution (5120×1440 vs 2160×1200) is certainly more worthy of being associated with the IMAX brand. We can expect the content to be largely associated with existing movie franchises from their Hollywood and film industry partners, as well as gaming publishers and other leading content developers, with each experience lasting between 5 and 15 minutes. As customers already pay a premium for the IMAX movie experience, IMAX VR will need to deliver something equally far ahead of the curve if they are to charge a similar premium, and Starbreeze CEO Bo Andersson Klint hopes to be ‘five years ahead’ of home VR, which could indeed justify the effort and expense. But the most interesting part of the announcement is that IMAX are looking beyond the cinema and want to deliver on all VR headsets. It is essential for IMAX to remain relevant as we enter a brave new world of fully-immersive entertainment, and embracing VR, both in terms of offering unique experiences at traditional IMAX venues and attaching their brand to quality VR content accessible on any headset, seems like a sensible approach. They are not really ahead, screenres will easy be in others coming next year, FOV maight also improve or even not needed with foveat rendering. IHMO their HMD looks a kinda clumsy , for current specs they are ahead, but i dont think it will last that long for other to surpass that level. Which means that everyone should be able to enjoy these experiences soon! As far as i know they would go for their exclusive location based VR, that means non of it you can enjoy at your home yourself. It might be however they change that now, as its hard to keep up in that way anyhow. There is much more competition coming next year. Also HTC is goinf to open over 100 Arcades “ViveLand” in China and will extend more later on. VR is developing faster as some of them predicted, so they are in a way forced to adapt to it or else loose the race. Besides this i still see much more potential in arcade VR as it has much more room and oppertunities to use additional motion machines to fit a certain game. This is something i dont see easy entering peoples home. I did already try some of those machines on exhibitions in China, and i must say its amazing lol. Think about 4d VR cinema for example it makes you feel more being in there. I agree… very interesting possibilities and opportunities for a whole new level of arcade experiences in the near future. Arcades have been dying off, this could be potentially a huge new market for arcade style business. You and I read the same message out of it… ultimately IMAX may be seeking to turn itself into brand of VR, with the physical locations showing the best available le consumer out of home experience with the option in time to buy HMDs that are perhaps a generation or two behind and also enjoy their content on other HMDs. Two words: Face Kooties. The whole thing sounds like a waste of money. Any “premium” IMAX experience will be a standard part of the consumer VR experience in a few years. There is no way IMAX or anyone else is going to convince consumers to drive to a movie theater and wear a VR headset for hours that countless strangers have worn before. lol I’m sure that they have considered all those points in raising 50 Million from investors. IMAX seems to be seeking to turn themselves into a brand of distribution; the locations will exist I think to introduce people then drive consumer demand quite possibly for home units before long. I will say people try on clothes and use all manner of things like bowling balls, seats, etc I don’t the no they will mind a VR HMD. Do they wear those things on their face for hours? I am totally serious. This is a non-starter. IMAX is going to waste millions on this desperate attempt to remain relevant as consumers get into VR at home. They will still make money since high-end, affordable, quality VR for home is like they say at least 5 years away! Only the very wealthy mat be able to afford it a little sooner. and not everybody is paranoid putting on some headset that countless has put on before them. Just go to any high-tech show and check out the ridicoulus line-ups for yourself! 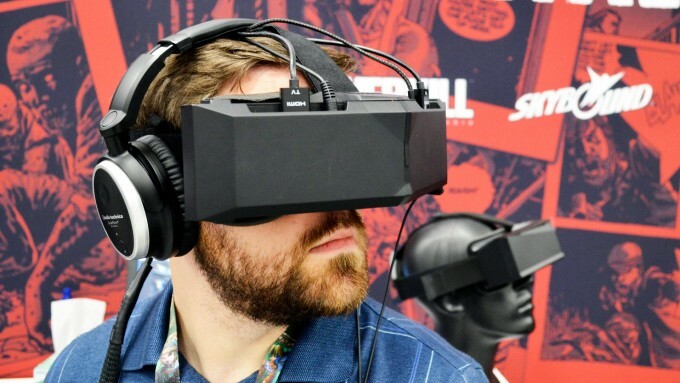 A: It won’t take five years for consumer VR to get good enough to make it worth staying home. B: You are wrong. When was the last time you put something on your face that had been used before by countless sweaty strangers? And no 3D glasses don’t count. A. Premium experiences of many kinds have existed for a long time, this play has potential if they can actually deliver. B. OC3, where thousands were lines up at stations. And something tells me the thousands of cafes adopting VR around the world over the next 2 years, and other private installations and arcades unfortunately conclude you have at least a slight chance at being incorrect. Ever rented equipment that uses any form of headgear? helmet, visor, for skiing, tourism, biking, paintball, ever participated in sports that require headgear? etc..etc.. The nice part is that vr hygiene is one of the most in demand sub industries starting to become a real thing. IMAX could easily convince consumers just as cafes, trials at stores, and others have convinced consumers, if they have exceptional content that attracts the consumer. Not sure on the level of skepticism here.. it’s partially relevant but highly opinionated.. and based on what source or background. People use used or rental equipment all the time, and yes even for the head and face. A pro solution would be solving that issue.. maybe with replaceable face plates and other sanitary solutions, other than cleansing wipes. At the end of the day this is a Risk.. but if IMAX doesnt try to make a move, they could be near, or completely obsolete in the near -> distant future. The whole idea of IMAX is a premium experience, with a better view.. VR sounds like a logical step for them if they can pull it off. Lets see what happens. Good points codeTricks. OK perhaps people will be able to stand to rent a VR headset but then why go to a theater to do it? Why not rent one at BestBuy? My extreme skepticism comes from the idea of having to go to a public space, such as a movie theater, to experience VR which is entirely solitary. I think there are multiple plays in that respect. There are interesting dynamics at play, even with cafes or other public venues, where people go as either individuals, or groups, to participate in VR on a solo, group, or multi-social platform. If you could also add an experience of a device capable of walking/running, others (guns), cockpits, etc.. similar to an arcade or better (like riding on a fake car or motorbike and simulate forces and feedback), smells even (been tried many times), combined with VR, it could add a whole new industry if it works and is done right (whatever that is). Really this could potentially work even if the VR quality is in the current form, let alone a step or 2 up? I really think there is a platform here.. and potential atm I think is only limited by ideas and tech. I am pretty excited to see what comes about, and would love to do it myself. * I do get your point, but from what I have seen people are already becoming more social, accepting, interested, and willing to participate..
As far as the rental aspect, millions of people pay per year to rent content, movies, or pay per experience/view. If you can reproduce this in VR in any way, there is a market, granted it gets accepted by the user base. A- that’s what they used to say about big screen TV’s yet imax and movie theatres still around. B- couple of weeks ago at VR exposition. And the lineup of people was very long. They did not hesitate trying has that many had on before them. It was the last thing on everyone’s mind. The experience superseded all. A- I have a 12 foot video projection screen at home and still enjoy going to a movie theater for the shared experience of a giant screen. That does not get around my point that VR is a solitary experience so doing it in a movie theater makes no sense at all. B- I also have put on VR headsets at trade shows. It is what you have to do to try VR right now. That does not mean I liked it. The advice they give you to stay well at trade shows is to wash your hands regularly and avoid touching your face. 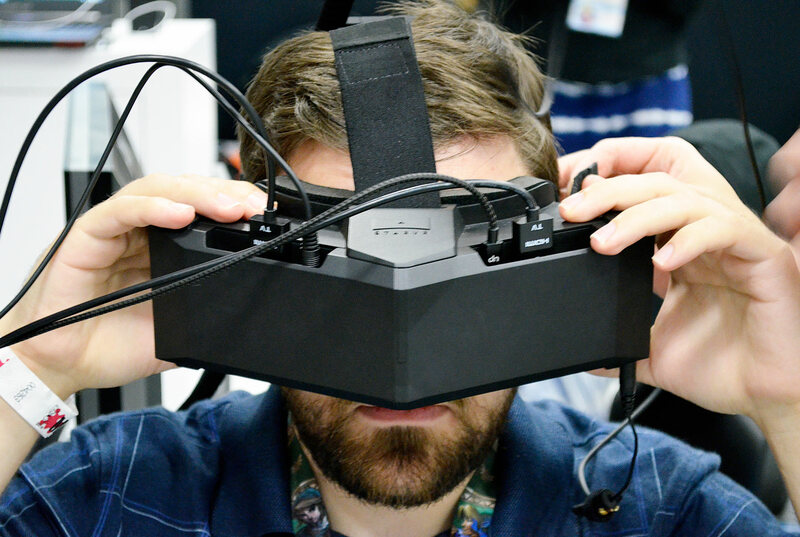 A VR headset touches the face of everyone that wears it. just think a little about it. you can easily design it so the entire front comes off, the part closest to the face. Foam pads will be included in the cost.. not going to be cheap in the first place. you think they’re going to hand out vives and rifts to people? OK fine but why go to a movie theater, to wear VR? It makes absolutely no sense. Why not just rent them for the day at your local Walmart? I have a HTC VIVE and use it for hours. You honestly forget it’s there. That’s a different conversation. My point was that if you wear a VR headset for hours, you get a bit sweaty. Then if you hand the sweaty headset to someone else there are basic hygiene issues to deal with even if you replace and wash the padding. You can wear a headset for hours but frankly all the designs I have seen from iMax thus far look really heavy. Not only will they get uncomfortable around your face, your neck will hurt unless you have worn one enough to build muscles. I have experienced that issue with the Playstation VR when games expect you to turn your head or bend your neck a lot. Création is part of what makes us human. Remove that and you remove a big part of what makes us human.